Claws Mail is the free and open source emailing platform that saves email in MH mailbox format through plug-in and impeccably supports Windows and Mac systems. 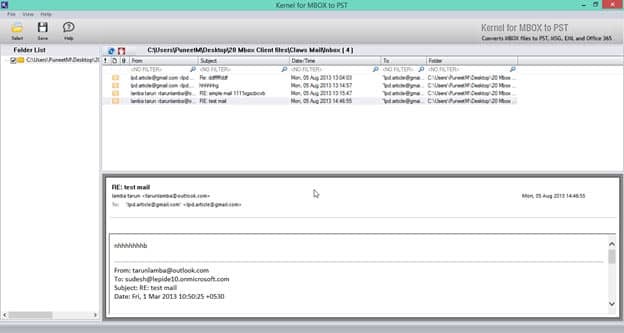 With it a user can easily manage the mails and can characterize them accordingly. However, while working with this email application the real matter of concern is the facing performance issues when doing network tasks. Consequently, these days many professionals prefer to adapt MS Outlook to maintain communication with client. 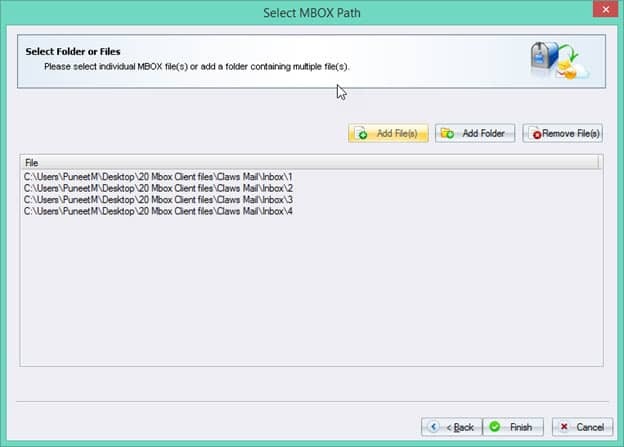 In case, you too are one of them and looking to migrate MBOX files of Claws Mail to PST format, then it is advised to take assistance from external tool like Kernel for MBOX to PST Converter software. 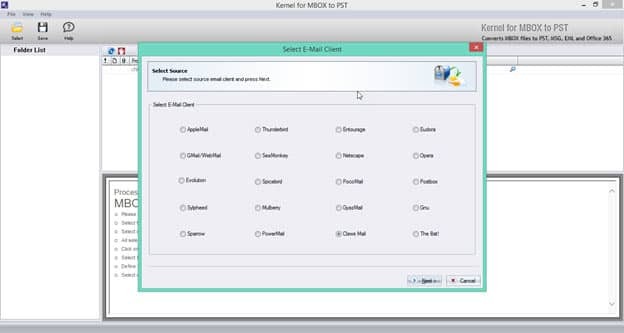 Select ‘Claws Mail’ from other MBOX clients and click ‘Next’. Add Claws Mail MBOX files using ‘Add File(s)’ button. To delete any Claws Mail MBOX files, click ‘Remove File(s)’ button and then click ‘Finish’. A new window with detailed information on the added MBOX file will be displayed on the screen. To save the files, click ‘Save’ button. A window with conversion options will appear. 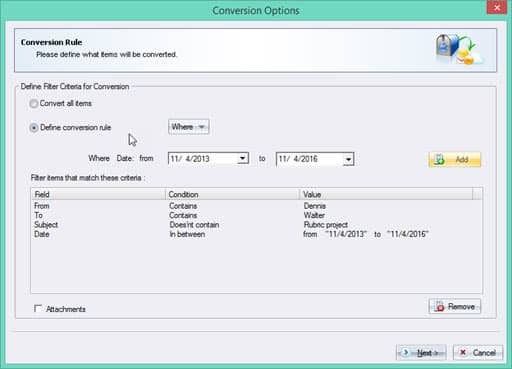 It comprises of two options, namely: ‘Convert all items’ and ‘Define Conversion Rule’. 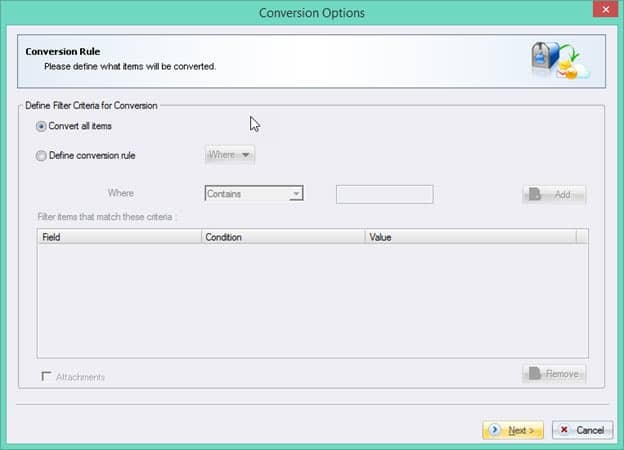 To convert all items, select ‘Convert all items’ followed by ‘Next’. To convert any specific Claws Mail MBOX file, simply select the criteria from ‘Where’ drop-down menu. It contains From, To, Subject and Date. Enter the value that is either contained or is not contained in the “From” field. Specify the required values in ‘To’ field. Similarly, enter the required value for “Subject” field. ‘Date’ field gives the date range in which the concerned files can be found, and so mark the date range using “date” field. In the next screen the different saving options appear. Click ‘Save in PST’ among other options which include ‘Save in MSG’, ‘Save in EML’ and ‘Save in Office 365’. 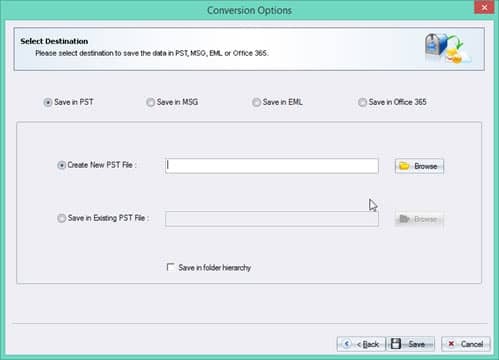 To save data in new PST file, select ‘Create New PST File’, and provide the destination path using ‘Browse’ button. 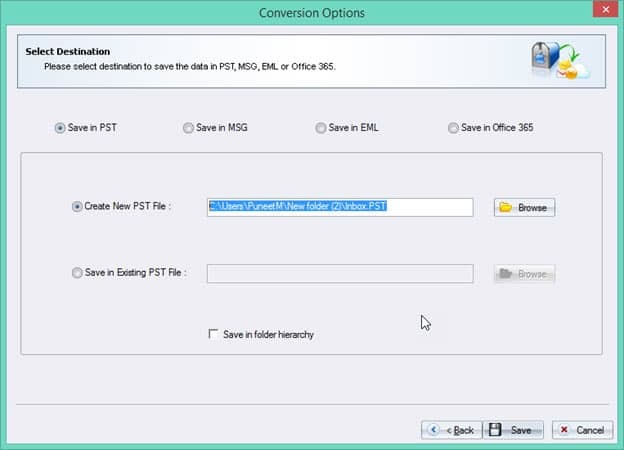 To save in pre-existing PST file, select ‘Save in Existing PST File’ and provide the PST file path using the ‘Browse’ button. 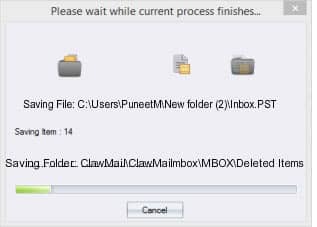 On completion of the process, the message of the successful completion of email migration process appear on the screen. 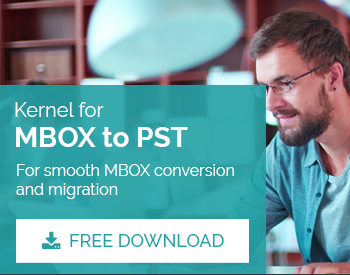 How to Convert Postbox to PST? How to Export Gyazmail to PST?